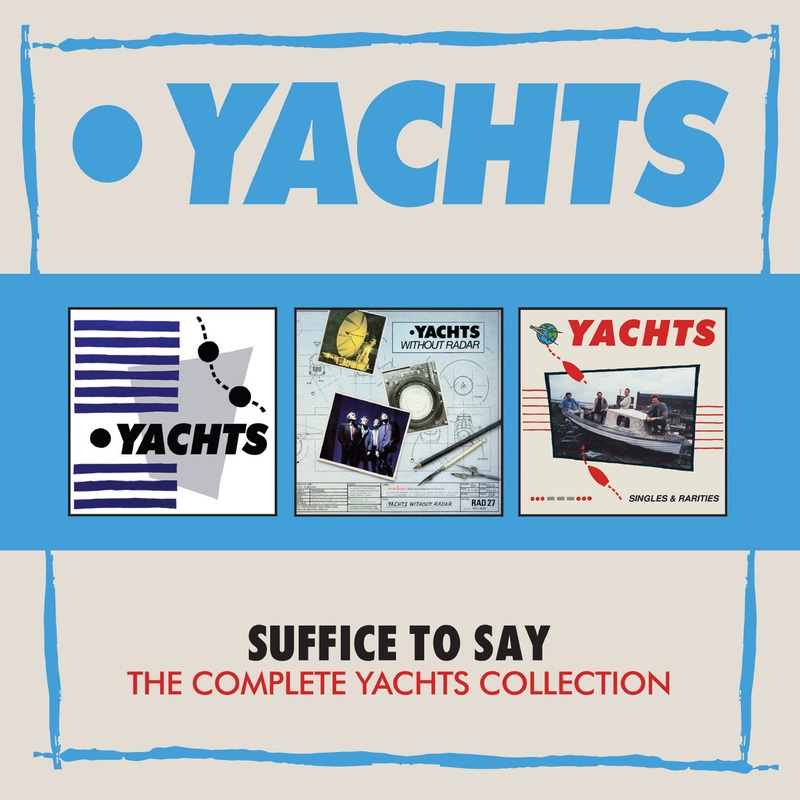 The first ever Yachts CD collection! 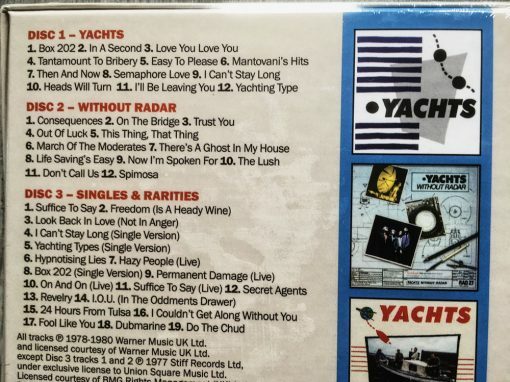 This 43 track, 3 CD Box set features the albums “Yachts” and “Without Radar” plus a disc of previously non LP singles, B-sides and compilation cuts. 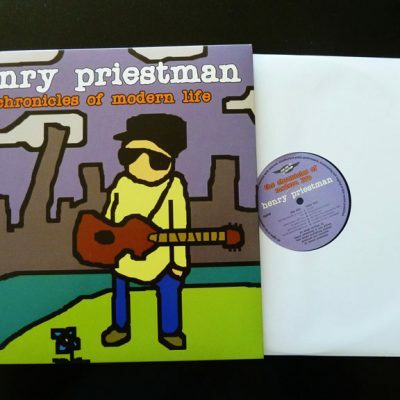 Most of the tracks are appearing here on CD for the first time. 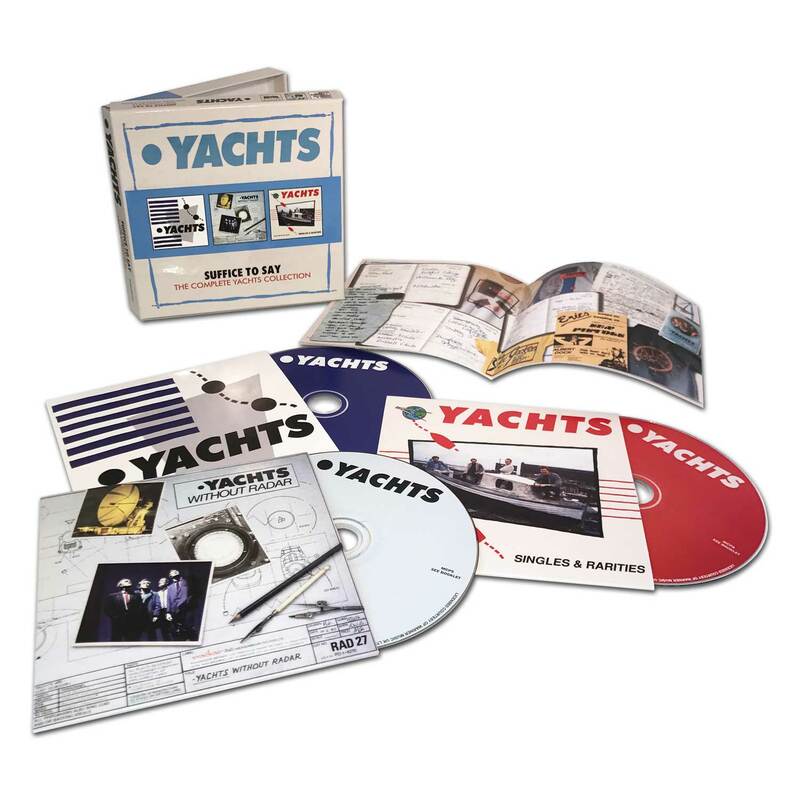 This 43 track, 3 CD Box set features the albums “Yachts” and “Without Radar”, plus a 19 track disc of non-LP singles, B-sides and rarities. 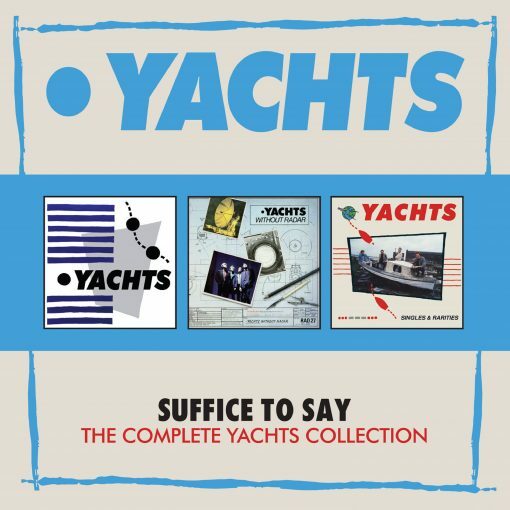 Formed in 1977 at Liverpool Art College, the band signed to Stiff Records and released the seminal New Wave classic ‘Suffice To Say’. Moving to Radar Records, they issued two albums and eight singles and departed the scene in 1981 after a final lone 45 for Demon Records. 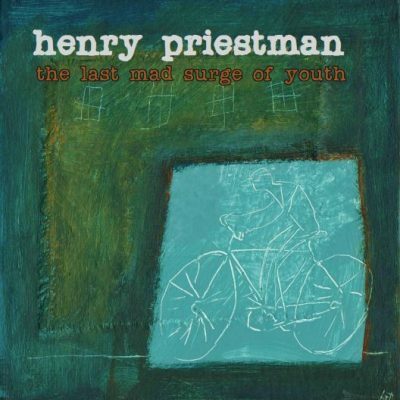 Yachts’ keyboard player/singer (& main writer)Henry Priestman has helped oversee the release, providing numerous fascinating clippings and memorabilia from his personal collection, for the eye-catching and info-packed 24 page booklet. Radio 5 broadcaster & film critic Mark Kermode, a self-confessed Yacht-aholic, has provided poignant & humorous notes on how the band shaped his growing up. 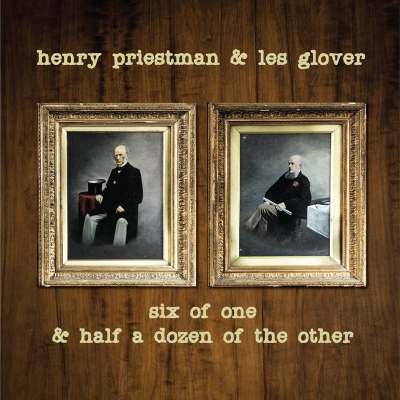 Further historic sleeve notes have been supplied by singer/songwriter Les Glover, (another big Yachts fan), entitled “A Brief History of Yachts”.